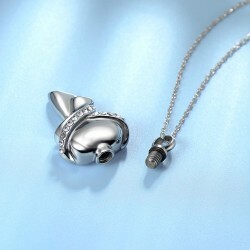 Stainless Steel Memorial Ash Holder Pendant for Cremation Urn Keepsake with Adjustable Cable Chain Necklace 46 to 52 cm.. 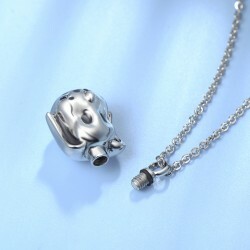 Stainless Steel Memorial Ash Holder Buddha Pendant for Cremation Urn Keepsake with Adjustable Cable Chain Necklace 46 to 52 cm♥MATERIAL♥ This elegant vial pendant and chain are made of stainless steel. 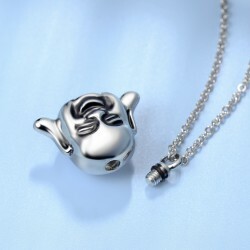 A perfect material to keep safe your memories and known for its durable, hypoallergenic and tarnis.. 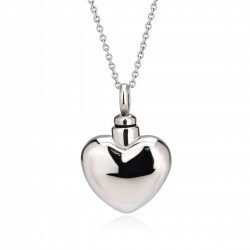 Stainless Steel Memorial Ash Holder Classic Heart Pendant for Cremation Urn Keepsake with Adjustable Cable Chain Necklace 46 to 52 cm♥MATERIAL♥ This elegant vial pendant and chain are made of stainless steel. 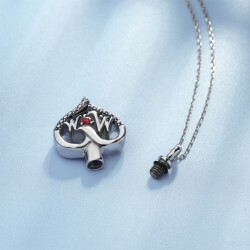 A perfect material to keep safe your memories and known for its durable, hypoallergenic and.. 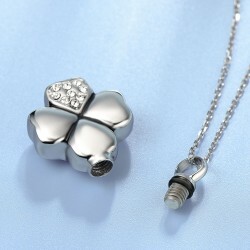 Stainless Steel Memorial Ash Holder 4 Leaf Clover Pendant for Cremation Urn Keepsake with Adjustable Cable Chain Necklace 46 to 52 cm♥MATERIAL♥ This elegant vial pendant and chain are made of stainless steel. 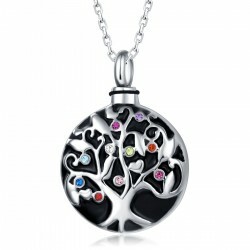 A perfect material to keep safe your memories and known for its durable, hypoallergenic and.. 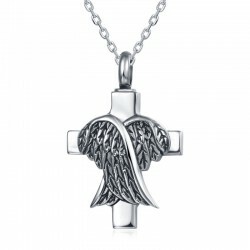 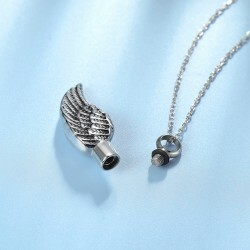 Stainless Steel Memorial Ash Holder Cross and Wings Pendant for Cremation Urn Keepsake with Adjustable Cable Chain Necklace 46 to 52 cm♥MATERIAL♥ This elegant vial pendant and chain are made of stainless steel. 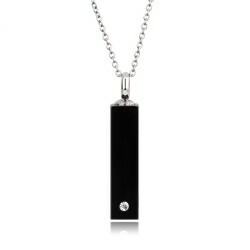 A perfect material to keep safe your memories and known for its durable, hypoallergenic a.. 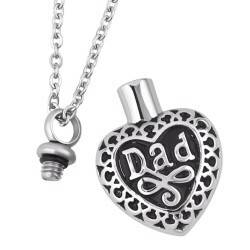 Stainless Steel Memorial Ash Holder Dad Heart Pendant for Cremation Urn Keepsake with Adjustable Cable Chain Necklace 46 to 52 cm♥MATERIAL♥ This elegant vial pendant and chain are made of stainless steel. 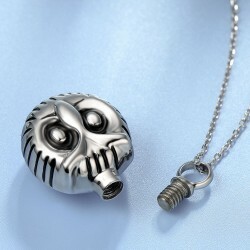 A perfect material to keep safe your memories and known for its durable, hypoallergenic and tar.. 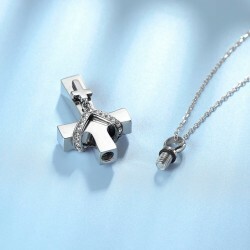 Stainless Steel Memorial Ash Holder Double Crystal Cross Pendant for Cremation Urn Keepsake with Adjustable Cable Chain Necklace 46 to 52 cm♥MATERIAL♥ This elegant vial pendant and chain are made of stainless steel. 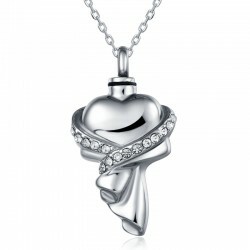 A perfect material to keep safe your memories and known for its durable, hypoallerge.. 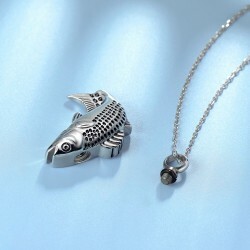 Stainless Steel Memorial Ash Holder Fish Salmon Pendant for Cremation Urn Keepsake With Adjustable Cable Chain Necklace 46 to 52 cm♥MATERIAL♥ This elegant vial pendant and chain are made of stainless steel. 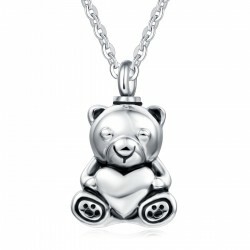 A perfect material to keep safe your memories and known for its durable, hypoallergenic and t.. 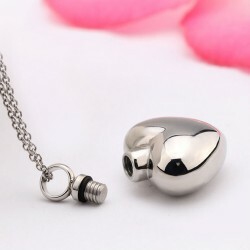 Stainless Steel Memorial Ash Holder Hug Heart Pendant for Cremation Urn Keepsake with Adjustable Cable Chain Necklace 46 to 52 cm♥MATERIAL♥ This elegant vial pendant and chain are made of stainless steel. 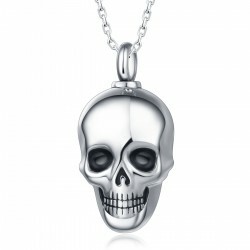 A perfect material to keep safe your memories and known for its durable, hypoallergenic and tar.. 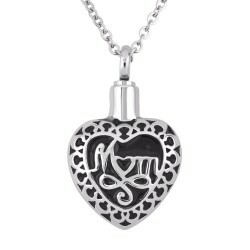 Stainless Steel Memorial Ash Holder Mom Heart Pendant for Cremation Urn Keepsake with Adjustable Cable Chain Necklace 46 to 52 cm♥MATERIAL♥ This elegant vial pendant and chain are made of stainless steel. 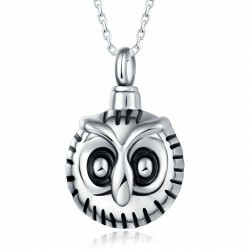 A perfect material to keep safe your memories and known for its durable, hypoallergenic and tar.. 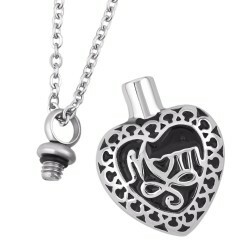 Stainless Steel Memorial Ash Holder Mother Heart Pendant for Cremation Urn Keepsake with Adjustable Cable Chain Necklace 46 to 52 cm♥MATERIAL♥ This elegant vial pendant and chain are made of stainless steel. 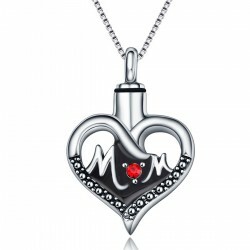 A perfect material to keep safe your memories and known for its durable, hypoallergenic and .. 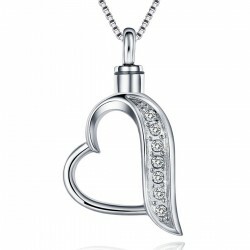 Stainless Steel Memorial Ash Holder Open Crystal Heart Pendant for Cremation Urn Keepsake with Adjustable Cable Chain Necklace 46 to 52 cm♥MATERIAL♥ This elegant vial pendant and chain are made of stainless steel. 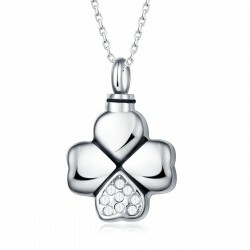 A perfect material to keep safe your memories and known for its durable, hypoallergeni.. 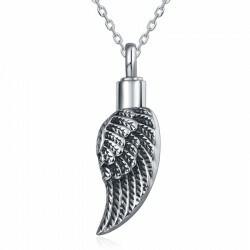 Stainless Steel Memorial Ash Holder Owl Pendant for Cremation Urn Keepsake with Adjustable Cable Chain Necklace 46 to 52 cm♥MATERIAL♥ This elegant vial pendant and chain are made of stainless steel. 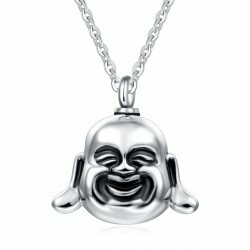 A perfect material to keep safe your memories and known for its durable, hypoallergenic and tarnish f.. 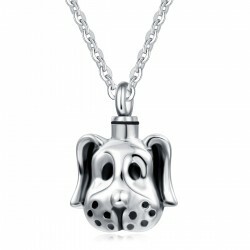 Stainless Steel Memorial Ash Holder Pet Dog Pendant for Cremation Urn Keepsake with Adjustable Cable Chain Necklace 46 to 52 cm♥MATERIAL♥ This elegant vial pendant and chain are made of stainless steel. 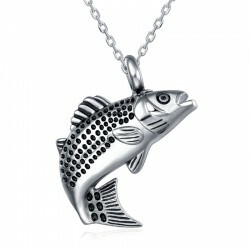 A perfect material to keep safe your memories and known for its durable, hypoallergenic and tarni.. 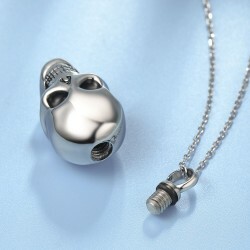 Stainless Steel Memorial Ash Holder Skull Pendant for Cremation Urn Keepsake with Adjustable Cable Chain Necklace 46 to 52 cm♥MATERIAL♥ This elegant vial pendant and chain are made of stainless steel. 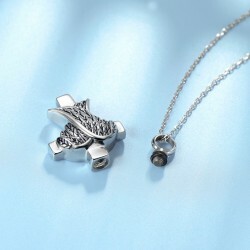 A perfect material to keep safe your memories and known for its durable, hypoallergenic and tarnish.. 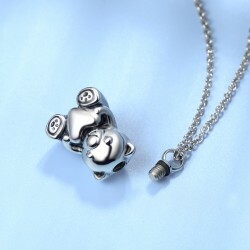 Stainless Steel Memorial Ash Holder Teddy Bear Pendant for Cremation Urn Keepsake with Adjustable Cable Chain Necklace 46 to 52 cm♥MATERIAL♥ This elegant vial pendant and chain are made of stainless steel. 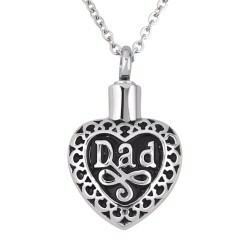 A perfect material to keep safe your memories and known for its durable, hypoallergenic and ta.. 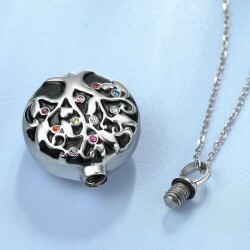 Stainless Steel Memorial Ash Holder Tree of Life Pendant for Cremation Urn Keepsake with Adjustable Cable Chain Necklace 46 to 52 cm♥MATERIAL♥ This elegant vial pendant and chain are made of stainless steel. 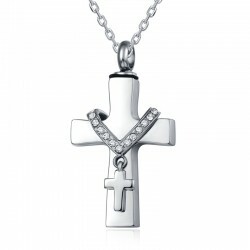 A perfect material to keep safe your memories and known for its durable, hypoallergenic and ..